In 1892, this two-story Victoria-style redwood house was built. It is believed to have been ordered from the Montgomery Ward catalog. The house got its name from one of its owners, a well-respected City Alderman inthe late 1940s. 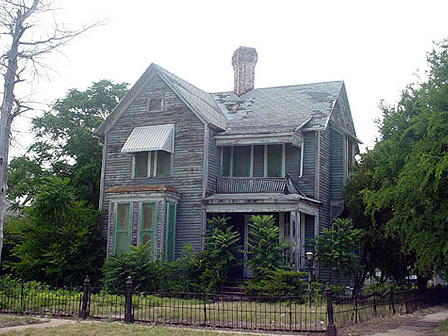 The house, a Wichita Falls Landmark, sits on a lot lined with the original iron picket fencing. The building is endangered due to neglect, vandalism and potential arson.